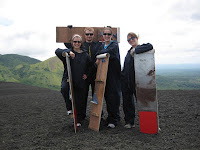 To the Land of Lakes and Volcanoes! Third to last thoughts. . .
As I finish my service, it has become very apparent to me that I am terrible at blogging, as evidenced by the lapse between my last blog post and this one. This is partially attributed to the fact that I have to make a solid effort to access the internet, and when I finally do so (once or twice a week), time is usually spent checking email or Skyping with my family. . . and more recently searching for jobs. I also just forget to do it. To be honest, the blogging was not so much for me but for those of you at home, so I apologize for my flakiness. In these next three blogs I will attempt to wrap up all of the information I have not been proactive enough to post in the last six months. I was blessed to be able to travel so much during my service. 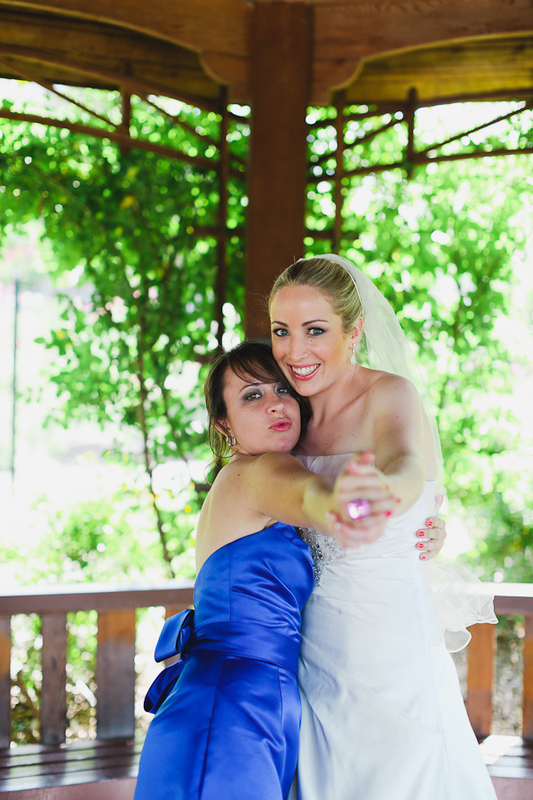 I went home twice, first to meet my baby niece Mackenzie and visit friends and family, and once more to perform the duties of Maid of Honor at my best friend’s wedding. A special thanks to my dad for getting me there and back twice! I was visited (and pitied) by my mom and family friend Wendy, Frank and Kris Matarrese, my college roommates Mel, Jenn, and Sean, my dad, and my mom once again. Without them, I would not have been able to visit some of the most spectacular places in Nicaragua. Plus they brought me goodies! Thanks so much to all for generously stepping into my strange world and treating me to the comforts of running water, food variety, and stress-free travel. You are true friends! 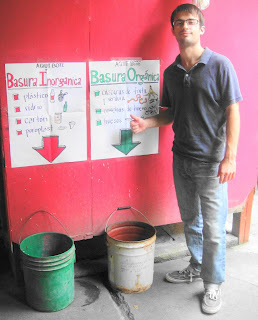 Because of you and my site-mate Kelli I have been quite the accomplished tourist here in Nicaragua. To wrap up the project we held an event. Mother’s Day in Nicaragua is always on May 30th and we thought it an appropriate day to celebrate. We had a really successful turnout considering that everyone had the day off (Mother’s Day is a BIG DEAL here). We had 75 guests including the project team, the pregnant women and Casa Materna staff, Director of Peace Corps Nicaragua, my boss, my Project Specialist, Kelli’s Project Specialist, other Volunteers, Nica counterparts from the Health Centers and schools, students, host family members, friends, and Kelli’s mom who flew here especially for the event! There were information tables, dance performances and Yoga demonstrations in the restored structure, leis for all the mothers, refreshments (mango, banana, cake, drinks), a raffle, and music. 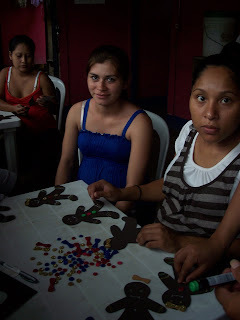 I was even able to sell some of the jewelry that the women had made to raise more money for the Casa! All in all I am happy with the results of the project. The Nicaraguan Peace Corps journal is covering our story and a Peace Corps journal in Washington is now interested! As previously mentioned, in order to get the grant for this project, we had to include an HIV/AIDS education piece. So I would give charlas to the pregnant women as well as the students and volunteers helping with the garden. We also took the opportunity to talk about proper disposal of trash. 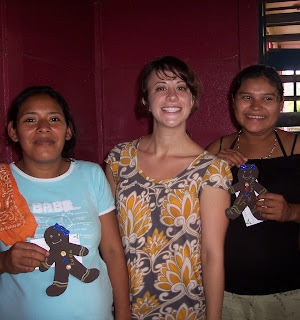 Additionally Kelli and I made what we called a “Welcome Kit” for the women at the Casa Materna. The “Welcome Kit” is a ten-page laminated packet of general information about Maternal and Child Health, Maintaining the Garden, and Yoga. Many of the women cannot read, so we included as many pictures as possible. The hope is that while at Casa Materna the women have an opportunity to learn about their health outside of the charlas given. Hey Precious! Hey Beautiful! Hey Doll! After approval from the Ministry of Health, we began to plan. 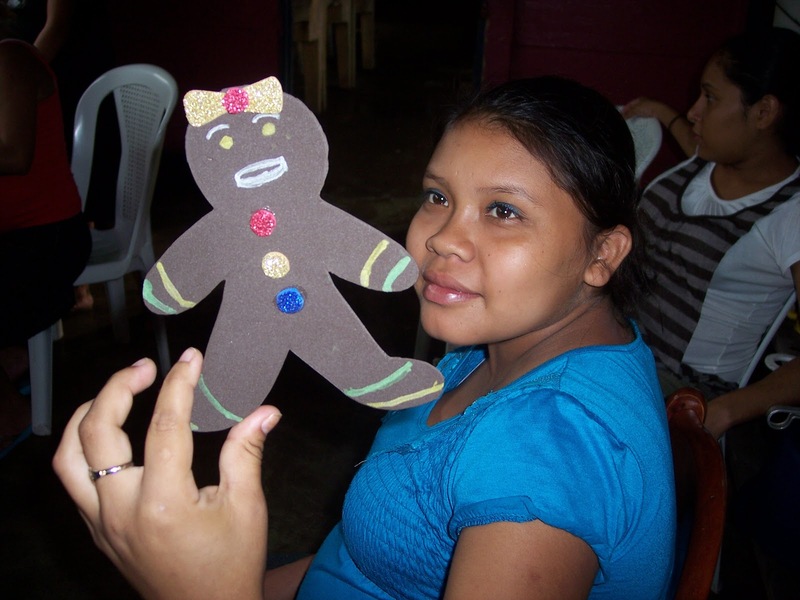 The grant we were applying for required an HIV/AIDS component, so we had to incorporate education into the mix. Greg, our environment guru, was happy to help with the vegetable garden, but also wanted to try out his newly-designed economic stove which uses less wood and redirects smoke. We also decided that an event would be a great way to finish the project and show the community the improvements that would be made. So what was at first a two-tiered idea soon became a five-tiered monster! I wrote the proposal and sent it off to Washington. We recruited students from the Instituto Público de Boaco (public high school) and volunteers from the local YMCA to help with the vegetable garden. Simply cleaning up the garbage took an entire weekend. Unfortunately, it has not yet caught on in Boaco that throwing garbage on the ground instead of in a garbage can is a. rude, b. bad for the environment, and c. ugly to look at. YMCA working hard as usual! We then had to weed and figure out a good plot for planting veggies. Then the real work began! Digging holes, sifting dirt, hauling rocks, etc. Another method of garbage disposal in Boaco is burying it in the ground or burning it. So we found just as much garbage in the soil as we did above it. If you are wondering at this point whether or not there is a garbage pick-up system in Boaco, the answer is yes there is. But old habits die hard. Sifting dirt. In spanish the tool is called a zaranda. Plots of okra and bell pepper. If you look closely enough you can see their sprouts! Plots of carrot, onion, and edamame. No, people here don't know what edamame is. Or okra for that matter. By the end of April we had made 5 plots for vegetables and even an organic compost! 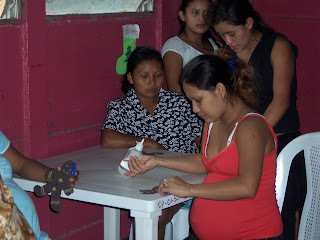 As I have previously mentioned, a Casa Materna is a temporary refuge for underprivileged rural pregnant women who do not have immediate access to health care. Because these women choose to have the child at home with a midwife, they risk maternal and or child deaths due to infections, hemorrhages, or high blood pressure. 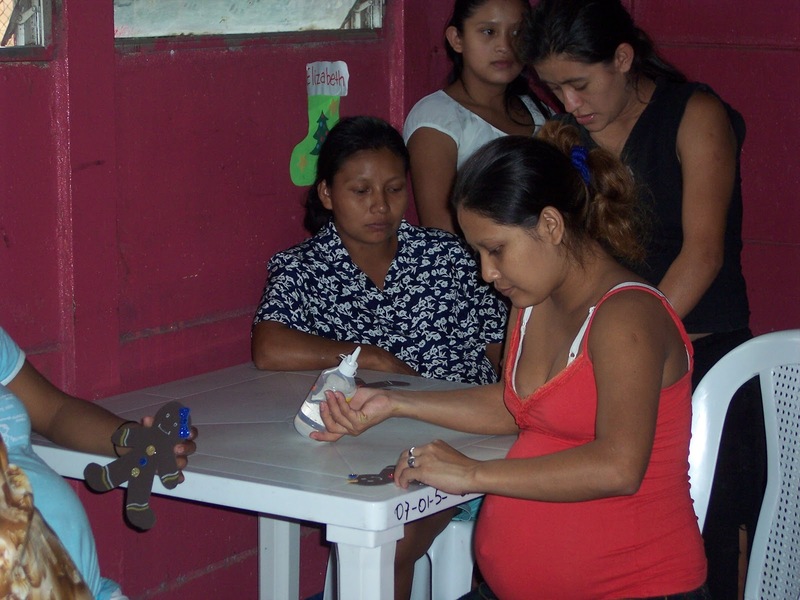 Women who stay at the Casa Materna two to four weeks before they are expecting decrease risk of complications because they have direct access to health care. 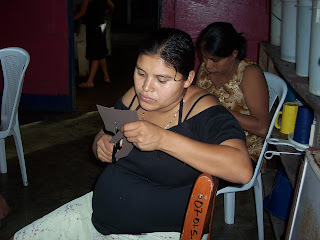 Casas Maternas have been established in many urban areas of Nicaragua in an effort to decrease the incidence of maternal and child mortalities. There is not much to do in the Casa Materna, Boaco. The women receive daily medical check-ups, they bathe, cook, eat, clean, wash clothes, and then sit and watch TV. This is where I volunteer most of my time. 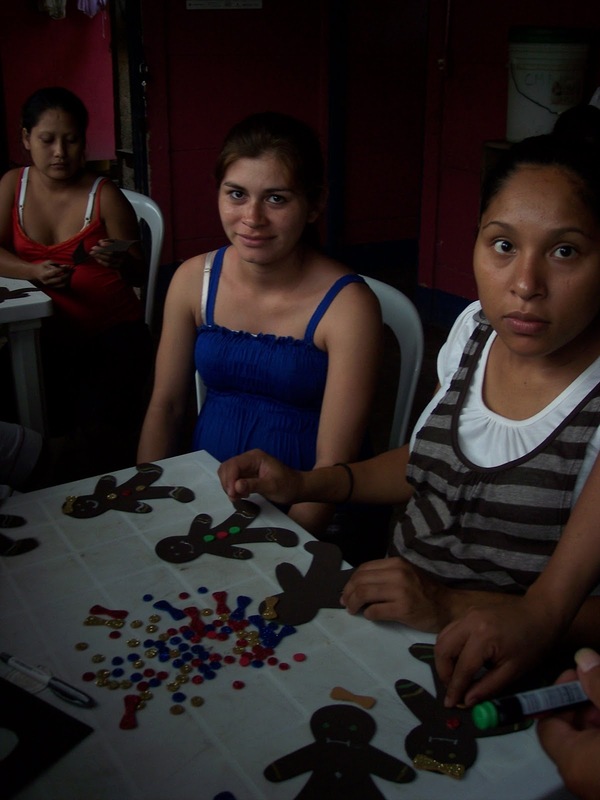 I offer health education, demonstrate crafts such as jewelry-making, and spend time with the women as they patiently wait to go into labor. They are offered a very limited diet – beans, rice, oil, cream, powdered milk, and eggs. Because the women are from poorer rural areas, they usually do not have enough money to supplement their meals with meats, fruits, or vegetables. In December I told my site-mate Kelli (Small Business Volunteer) that I had been interested in making a vegetable garden at the Casa Materna because there was a huge space behind the building that was not being used. There was also a dilapidated structure (which we later found out was used for water storage) that I dreamed could one day be a place where the women could exercise. Kelli without hesitation encouraged me to move forward with the project. She said she wanted to be involved, got Greg (Environment volunteer) on board, and we presented the idea to Boaco’s Ministry of Health! Below are "before pictures" of the space. More to come this week. 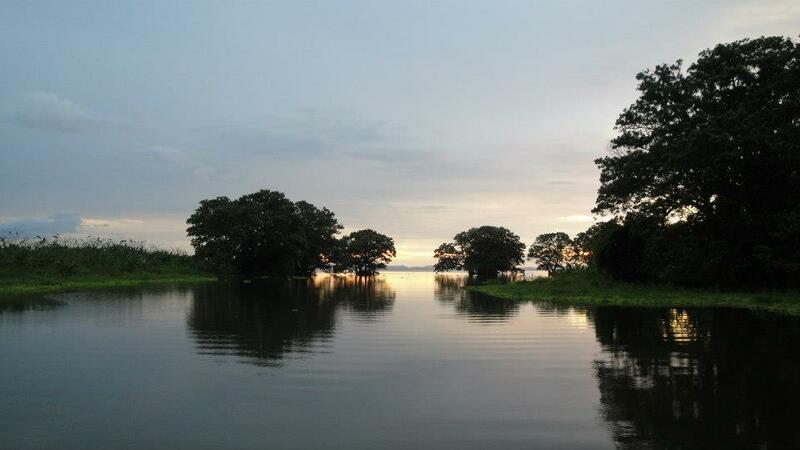 . .
My Christmas 2011 will be spent in Boaco, Nicaragua with my old host family. Once again, the holiday is celebrated by over-drinking and setting off bombas at all hours of the night. 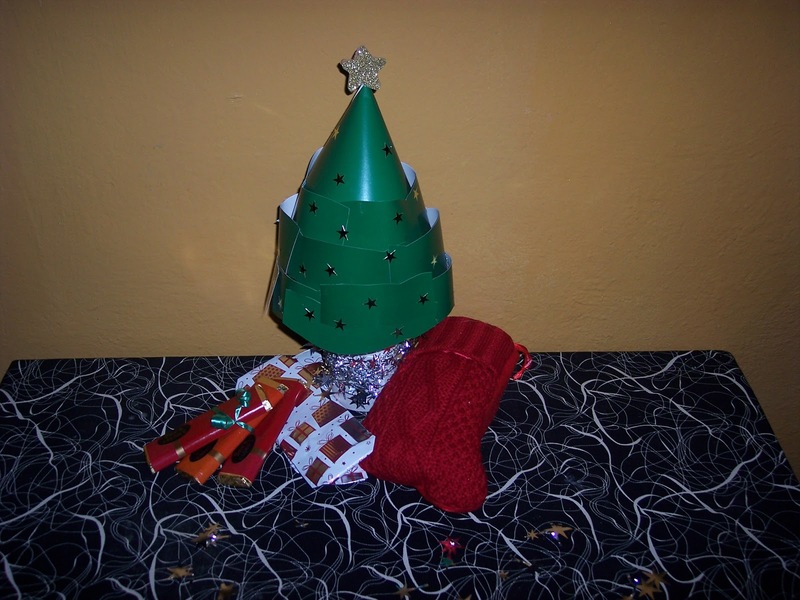 Unlike the States, the festivities take place on the evening of the 24th and roll over to the 25th at midnight when gifts will be opened (drunken unwrapping party?). I myself have been patiently waiting to open the gifties my family has sent me, which I have placed under the tree that I made out of a wine bottle and poster board! 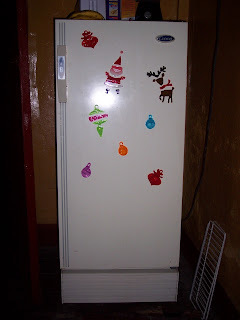 And I was able to decorate the Casa Materna with some foamy paper, glue and glitter! The women at the Casa Materna are much like me this holiday season in that they are not at home with their families. So I decided to have a little Christmas celebration with them. 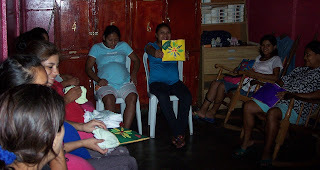 I began with a charla about the birthing process (very Christmasy! ), handed out gifts, facilitated a craft project, and attempted to bake cookies. 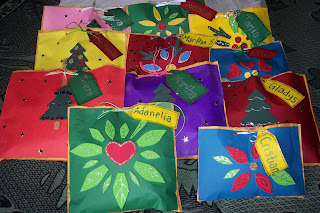 For the gifts I decorated some old envelopes and stuffed them with baby clothes which were donated by a medical mission group out of Grand Rapids Michigan run by Nancy and Bob Gillette (blog post to come). Although they did not quite understand what they are, I led my pregnant ladies in making gingerbread men out of foamy paper. They turned out beautifully! 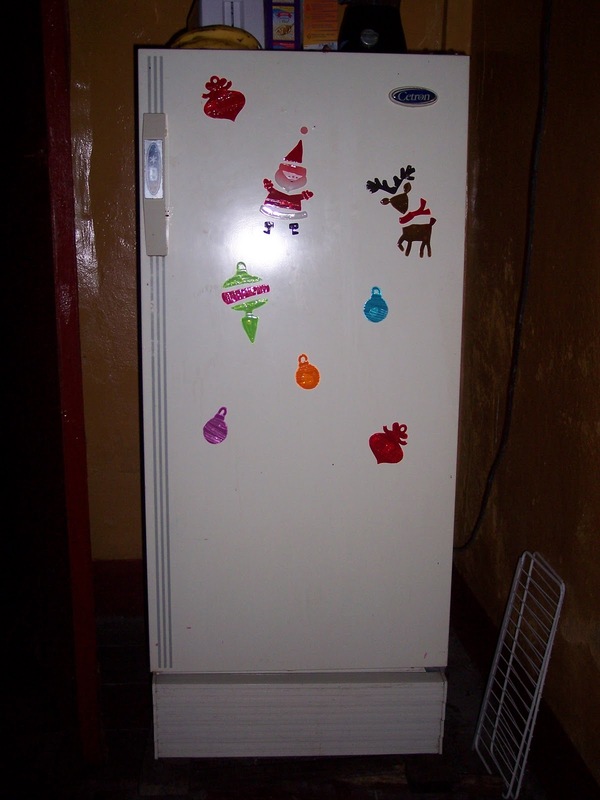 I figured it would be a nice gesture to bake some sugar cookies at the Casa Materna to demonstrate my holiday spirit. The dough was ready-made from my kitchen and all I had to do was bake it. Unfortunately there was no baking rack in the oven at the Casa Materna, so I had to move to plan B. I will bake them at a neighbor’s house and bring them back the next day. Logical, right? Since moving to plan B I have concluded that about 1% of the oven-possessing community of Nicaragua know how to operate them. I brought the dough to my neighbor’s house and actually found COBWEBS in her oven! Upon asking how to turn it on, she confessed she had never used it, and when trying to light it (being a match-starting model) there was a benign but frightening mini-explosion. I did eventually find a woman who knew how to turn her oven on and I was able to make the cookies by 10 o’clock that night. My experience has inspired a self-conducted verbal survey. So far, of the four oven-owners I have asked, ZERO know how to turn them on. Email me or call the house in January to let me know! 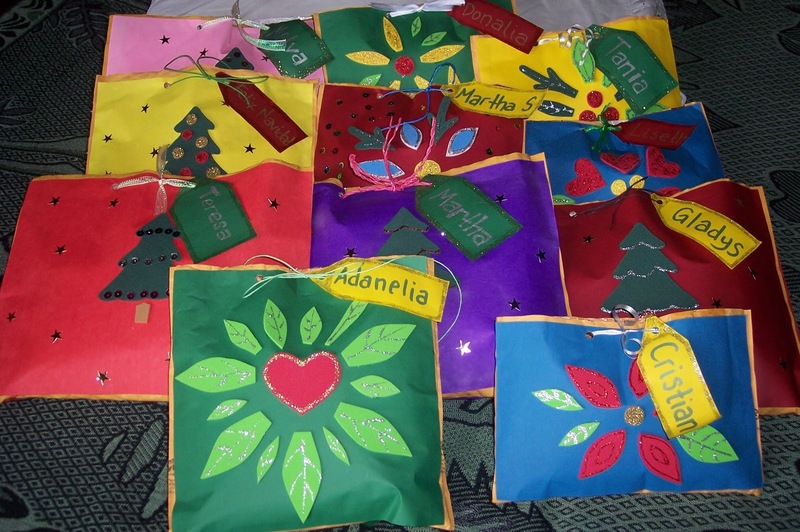 My project was featured in international Peace Corps news!